The Gravity 8 Pressure Redistribution Mattress by Drive Medical has a multi-layered foam system that provides outstanding zoned pressure distribution. 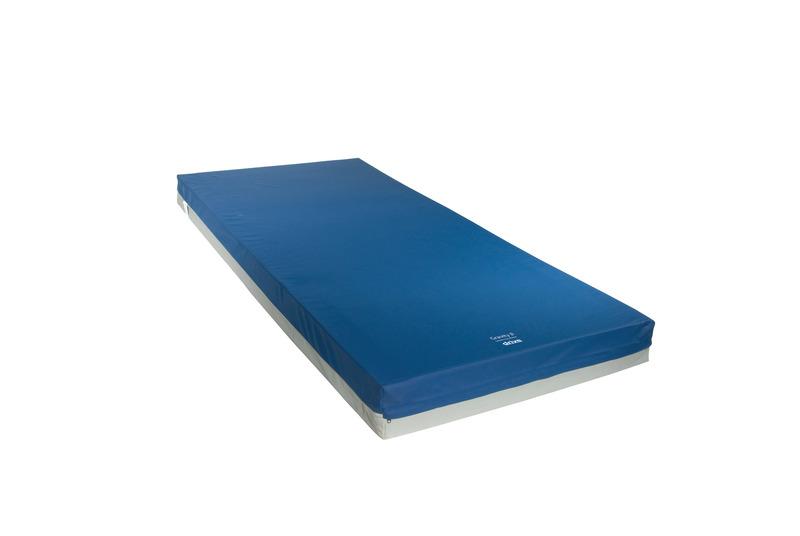 This mattress provides additional protection against heel pressure ulcers. Heel comfort is maximized by a gently sloping heel section and channel cuts in the middle layer of foam under the foot section. The comfort of the Gravity 8 mattress is equally matched by its durability. The cover provides functionality and convenience as it is not only easy to clean but it is also fluid proof tear resistant fire retardant and low sheer. With its comfort convenience and practicality Drive Medical's Gravity 8 is the right choice for anyone in need of a pressure redistribution mattress.